Communication which is the sole survival criterion of the modern digital world is effectively provided by the telecom industries and it is their services, which help us to keep in touch with millions of people all around the globe. But the data in the telecom global services is always at risk and is increasingly fraught with cyber attacks. Hence, it becomes pertinent that the telecom services rely on effective data security solutions that focus on up-to-date cloud security solutions, right enterprise security tools to detect, analyze and respond to threats and proficiently-trained personnel to constantly monitor any anomalies in the cloud or on-premises data. Telecommunication industries require handling of varied types of protocols like the VoIP, SS7 etc and these are vulnerable to hackers who target the telecom industry. In the past, it was easy for hackers to break the security cordon and get access to confidential data with sophisticated tools and knowledge. But now, the telecom operators are increasingly depending on the cloud services for their work processes. This has added to the improved efficiency in business and helped them to store and distribute more content thus they are able to roll out new services to the customers. But, with the increased dependency on cloud services comes the onus of securing cloud data. It is of great concern when a survey says that only 60% of the telecom industries have a secure data loss prevention strategy for cloud computing. The main cyber risk is Shadow IT, wherein, the resources and applications are used without the approval or knowledge of the IT department. Also, the hackers target one in millions of clients and purchase their services using the telecom company. Customers will naturally begin to expect strong data security from the telecom carriers and it is the responsibility of the companies to be more proactive in protection and support it with a range of technical and operational security throughout the entire internet value chain. 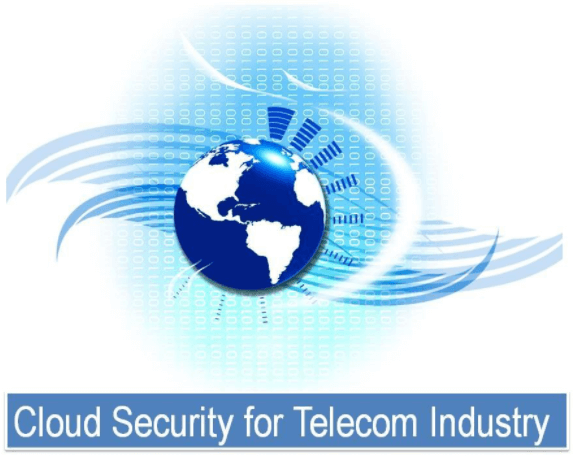 The desire for greater cloud security will indeed be a boon for the telecom industry if they embrace the need. A telecom company based in Asia that designs, builds and manages smart data networks for various telecoms across the globe, had deployed G Suite for its professional management. But they soon realized that this solely was not able to safeguard the critical data in the cloud-based network. The data was freely available to everyone on their own devices and this put a considerable amount of data at security risk. They wanted that the users use their internal intranet portal instead of accessing their mailboxes from their own networks. This challenge in cloud security was easily handled by implementing CloudCodes for G Suite solution. When the telecom company initially implemented G Suite, it started facing unseen problems all throughout its varied departments. The issue was that the users had direct access to their accounts without any imposed restrictions. When looking for an effective CASB solution for solving their current data security problem, the company introduced the cloud security solution in the form of CloudCodes for G Suite and conducted multiple trials through an array of use cases across managed and unmanaged devices. Access Control with IP restriction, Identity Management features with smooth password policy implementation and some other Value Add-On solutions were implemented from the CloudCodes customized CASB solution. This provided the firm with real-time data protection, thus amplifying enterprise security on their office cloud network. The shift to cloud services has definitely brought a significant difference to the way the telecom companies approach business and deliver their services. Cloud security in the form of CASB solutions is the answer to fill the gap between the services provided and the customers’ trust of telecom companies.